Spotti | Happy Office Happy Home — Studiopepe. 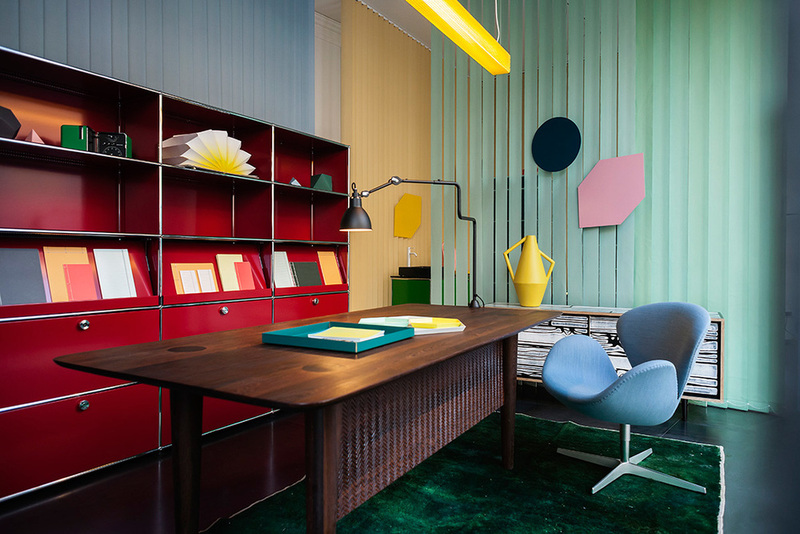 During the Milano Design Week 2013 Spotti, in collaboration with the Swiss company USM Modular Furniture, presented Happy Office Happy Home interior set-up curated by Studiopepe. Featuring bright and strong colors, the USM modular furnishing accessories were set up in four different environments, all with a close connection to home: dining, living, study and bedroom areas. Four areas separated by scenic backdrops, decorated by colored metal sculptures/installations designed exclusively for Spotti Edizioni. 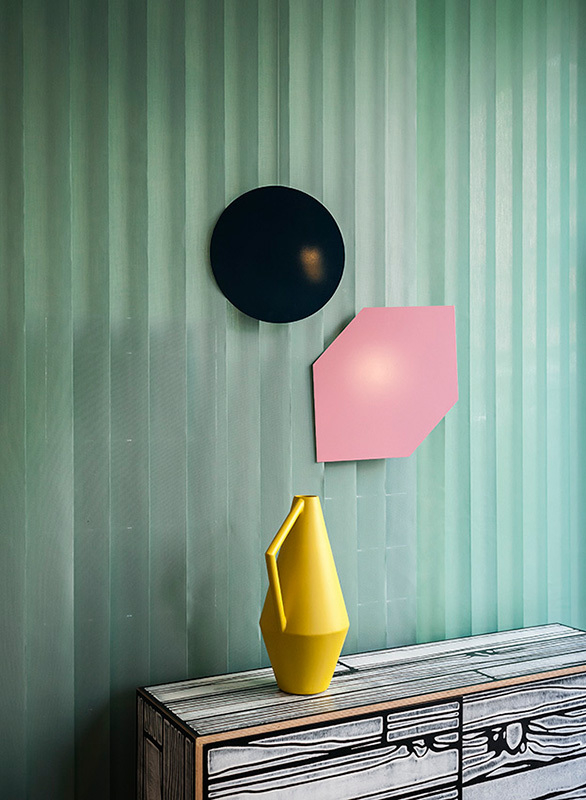 The display aims to change the point of view from which one looks at accessories that usually decorate our offices, to reveal new horizons of use in a typical domestic environment. The primary colors of the USM furnishings interact with the vitamin-like colors of the Solaris curtains with vertical stripes that divide the different areas, bringing a sense of irony to the ‘traditional’ office environment.